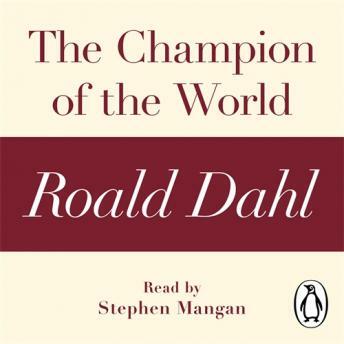 Penguin presents the audiobook edition of The Champion of the World by Roald Dahl, read by Stephen Mangan. In The Champion of the World, Roald Dahl tells a funny, bittersweet story about low cunning in the country. Danny and his father William are a pair of poachers who discover a foolproof way to bag pheasants using sleeping pills and raisins, however things do not go exactly to plan . . . The Champion of the World is taken from the short story collection Kiss Kiss, which includes ten other devious and shocking stories, featuring the wife who pawns the mink coat from her lover with unexpected results; the priceless piece of furniture that is the subject of a deceitful bargain; a wronged woman taking revenge on her dead husband, and others.